December 9. A cold Saturday in Ghent. 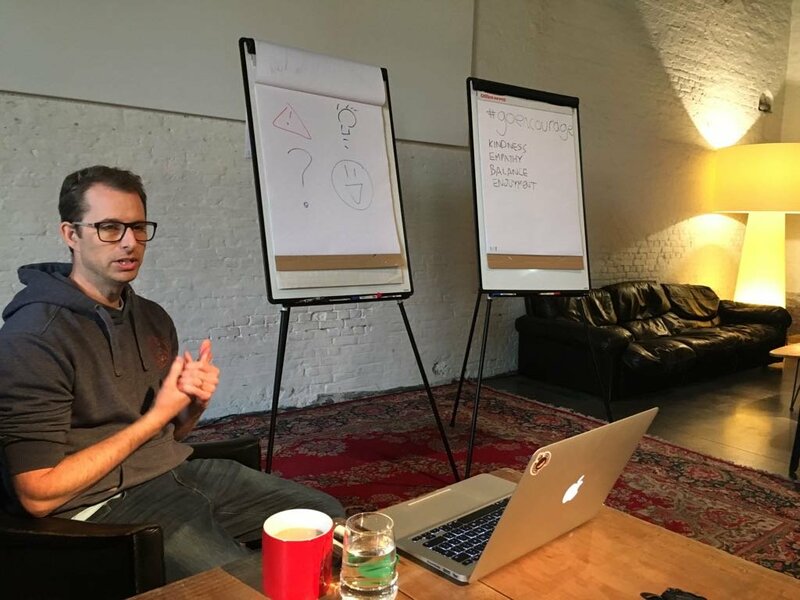 Eighteen testers from all over Europe – Belgium, The Netherlands, Sweden, Serbia, United Kingdom, Germany and Poland – gathered in Ghent to discuss testing in the homely Red Loft. A special thanks to AST for the grant which enabled us to encourage learning about testing. Shey Crompton kicked off the day with an experience report titled “Scripted testing isn’t a swear word”. To him, scripted testing and test cases have unjustly been demonised and argued in favor of them. At his project at Pottermore – the largest Harry Potter website out on the world wild web – he created them in three distinct flavors: standard (with detailed steps), semi-scripted (leaving only hints for the person executing it and leaving them a lot of freedom) and exploratory (instructions on where to explore). These flavors helped his team organize test execution and made sure that boredom was always far off. To him, the intelligent people will execute these scripts are the key to creating good scripts. Next up was our own Kirill Artamonov with “Breaking the wall”. 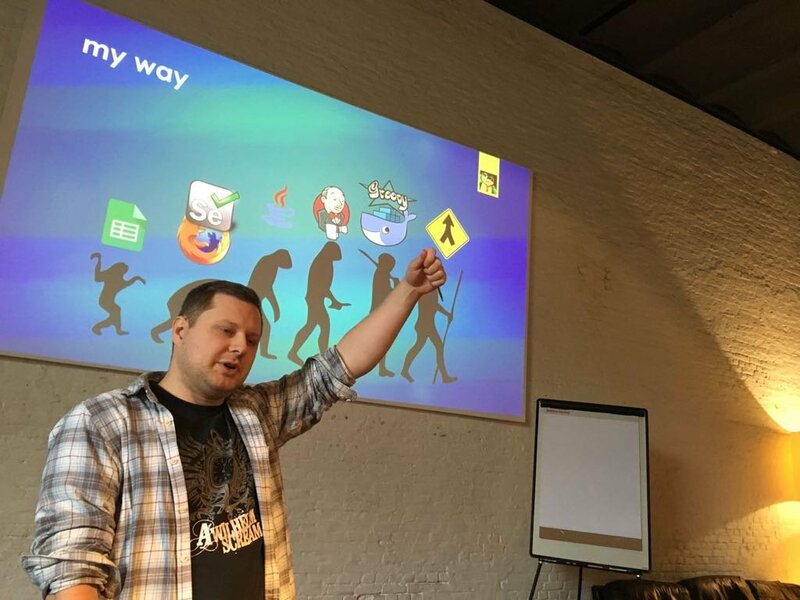 Kirill described how he had evolved from a pure testing role (with technical tinkering) to a development role. 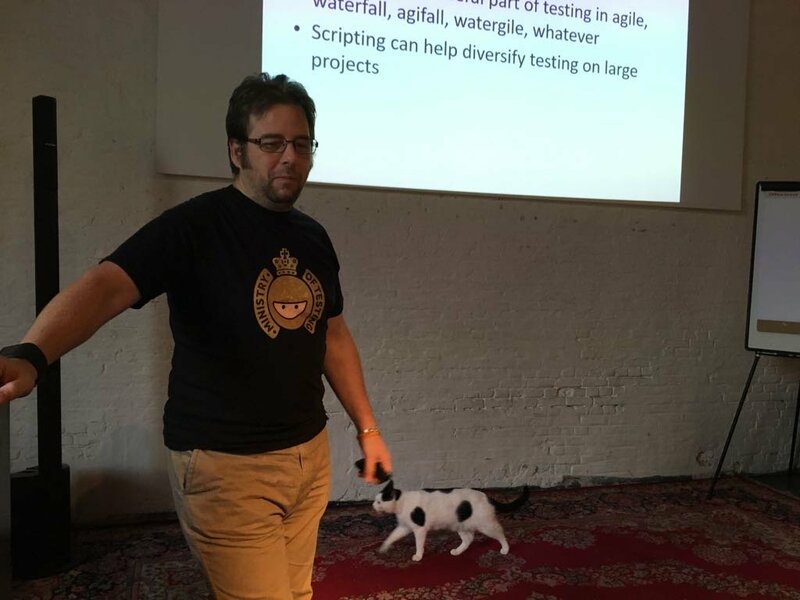 To his great surprise he found that testing still needs advocating amongst developers, that testing is not as self-evident as we often presume. Even in agile teams, where most walls have been torn down, there is still a big wall that often occurs: the one between testers and developers. Tearing down that wall is where the future is! The next session was by Simon Tomes with an enigmaticly titled experience report “#goEncourage”. Simon began an introspective session describing how he started on a personal campaign to encourage others. He developed the habit to do three things each day: help someone else (however small), listen more and enjoy every day. All the while he became more and more involved in the testing community and loving every moment of it. He offered a compelling visual model based on 4 pillars: problems, ideas, questions and encouragements. These pillars aided communication of feedback in a way that had an overall positive effect on everyone. 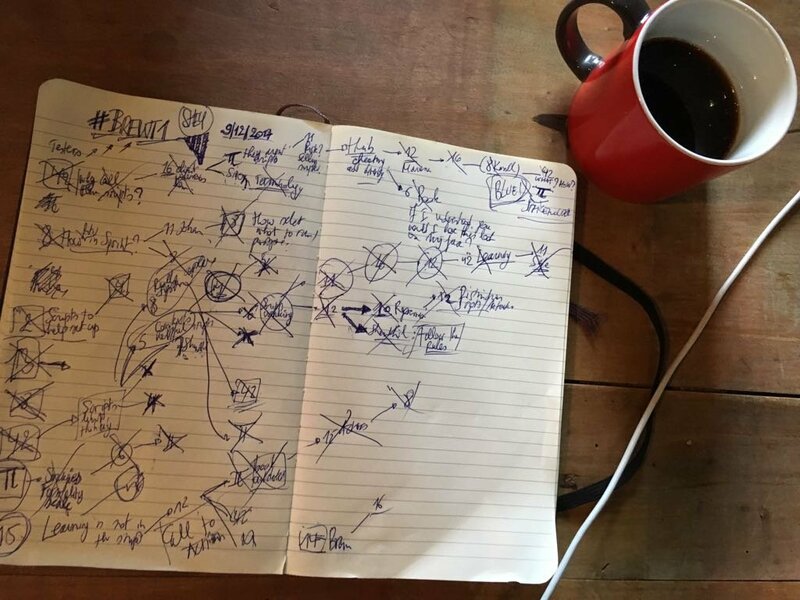 Marianne’s sketchnote (or a part thereof) makes this abundantly clear: who doesn’t like a few smiley faces for their work? Our next speaker was Uros Stanisic. 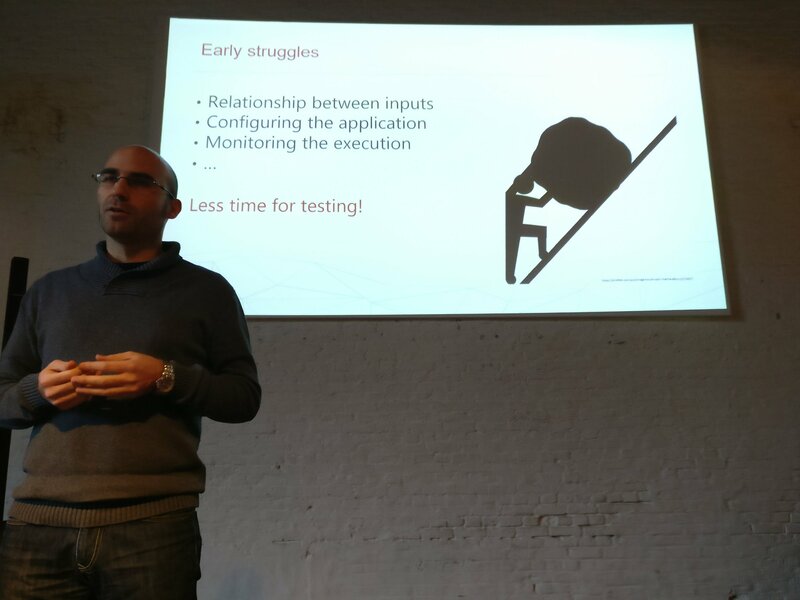 In his talk “Automate further than checks”, he pleaded for thinking about automation beyond test automation. If we abandon the idea that testers should write automated checks, we can focus on other things. We can gain from thinking about the process of testing as a starting point: what slows us down and where are we losing time? He told us about how his team had developed an automated manner of populating the database with a predefined data set which saved them countless hours of preparation time. For those trying to do the same: visualize the problem and then start simple. When you have something that works, build from there. After this talk Huib Schoots spoke up and told the group about his disappointment that none of the previous talks really discussed diversity. Even though diversity is a broad topic and the previous talks could all be linked to our theme, we all understood what he was saying. In reaction, Marianne Duijst filled the room with words that really needed to be spoken. It was time to talk about a kind of diversity that had been neglected throughout the day and Marianne had a few stories to share on being a woman in IT. She told us a story about how she felt that her male co-worker was regarded as more knowledgeable about the planning when he had only created a draft, based on guesses done in a few minutes. Her experience and insights improved that test plan with the needed detail. This took her multiple days, yet his guesstimate still seemed to be trusted more even when he had to consult her a lot for more information. This humbling and enlightening talk was followed by an captivating discussion. In a room with only 3 female testers present it was time for the men to open their ears. A compelling – and humbling – discussion on the causes and effects of gender inequality in the workplace followed. 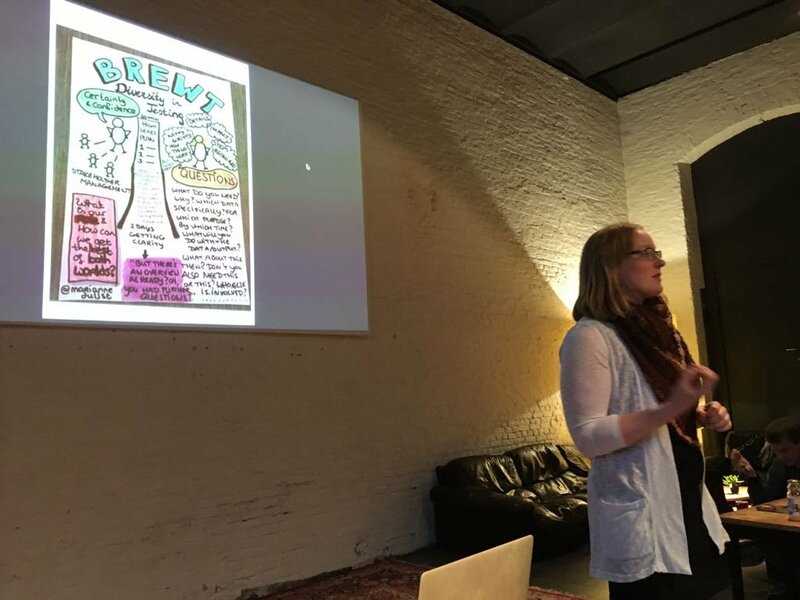 All of the experience reports were a trigger for fascinating questions, insights and civil discussions (promoted by the excellent facilitation of Zeger and Beren) that truly made this a day full of exploration and learning. A warm thank you all of our speakers – Shey, Kirill, Simon, Uros and Marianne – and to all participants. We hope that a next edition can reach the same level of thought provoking stories and discussions. The organising team learned a lot in terms of testing knowledge, but also about organizing events. 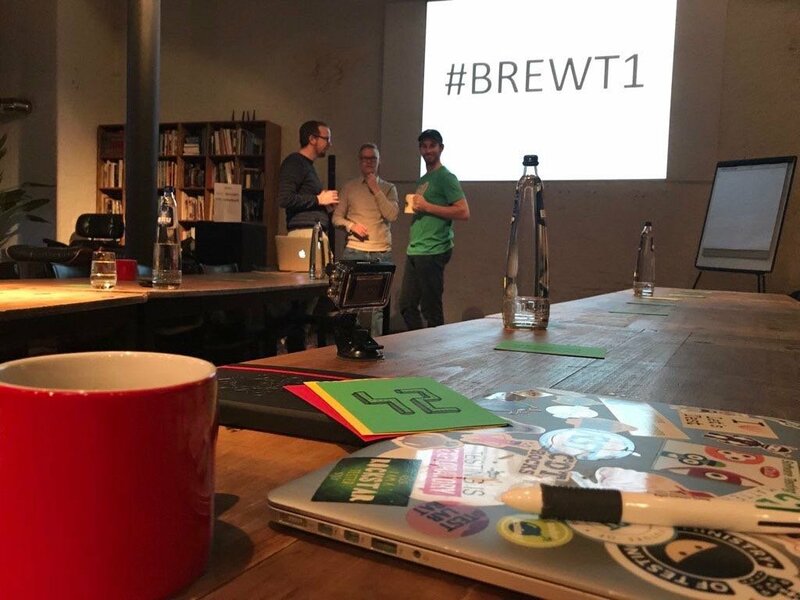 Ideas, tame and wild, are sprouting and will make BREWT2 even better and more legendary!